Fog lights come factory-installed on many vehicles including the Jeep Liberty. Fog lights illuminate the portion of the road immediately in front of the car. This is useful in foggy conditions because normal headlights illuminate a wider and farther area which reflects off the fog and makes it difficult to see. 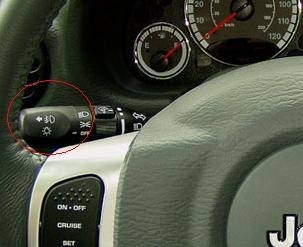 The Jeep Liberty has a switch that turns the fog lights on and off. Locate the lever to the left of the steering wheel that is used to turn the normal headlights on and off. 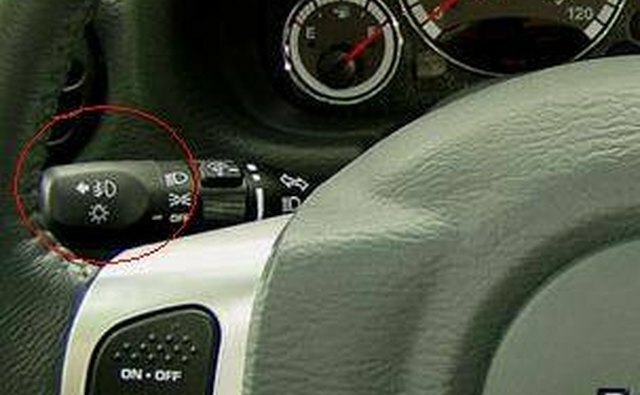 Find the end of the lever with the picture of a fog light and an arrow pointing away from the steering wheel. Pull the end of the lever out and away from the steering wheel to turn on the fog lights. Pushing the end of the lever back in will turn the fog lights off again.